Thank you for your interest in the Delaware Access to Justice (ATJ) Commission's first annual Pro Bono Challenge! The Pro Bono Challenge will begin on January 1, 2019 and run through December 31, 2019. Participants are asked to commit to dedicating at least 1% of their professional hours for the 2019 calendar year to pro bono service to indigent individuals and families. At the end of the year, the ATJ Commission will reach out to participants and ask if the challenge was met. Q: What type of legal services count toward this challenge? A: Time you spend providing direct legal services to poor people for free qualify for this challenge. This could include, for example: preparing a will for a senior, handling a guardianship matter, advising on a family law matter, or representation in court. Q: Does volunteer work I do through DVLS, OCA or another legal service provider count toward meeting this challenge? Q: Must I do my volunteer work through one of the legal aid organizations to have the hours qualify for meeting this challenge? A: No. Any direct legal representation you do for people who meet the poverty guidelines qualifies for this challenge, no matter how the matter came to you. But there are many benefits in doing your pro bono work through one of Delaware’s legal aid organizations. Q: What is the time period for this challenge? A: The challenge is for calendar year 2019, but any hours you donate between now and the end of the 2018 can count toward your goal. Q: Can the hours I devote to other challenges (such as the ABA 3% challenge) count towards the ATJ Pro Bono Challenge? A: Yes, you can satisfy the Pro Bono Challenge with the same work done to support other challenges, as long as the time you count toward the Pro Bono Challenge is time that you spend providing direct legal services to poor people for free. Q: Can the time I spend providing legal advice to a not for profit entity serving the poor satisfy this challenge? A: No, while providing pro bono services to organizations is critically important, the Pro Bono Challenge is focused on providing legal services to poor people. Q: If I am appointed by the Family Court to represent a party, can those hours qualify toward the challenge? A: Yes, the time spent representing poor people as a result of family court appointments can qualify for the challenge if you do not seek reimbursement from the Court for your time. Q: I am already participating in another challenge, why should I participate in this one? 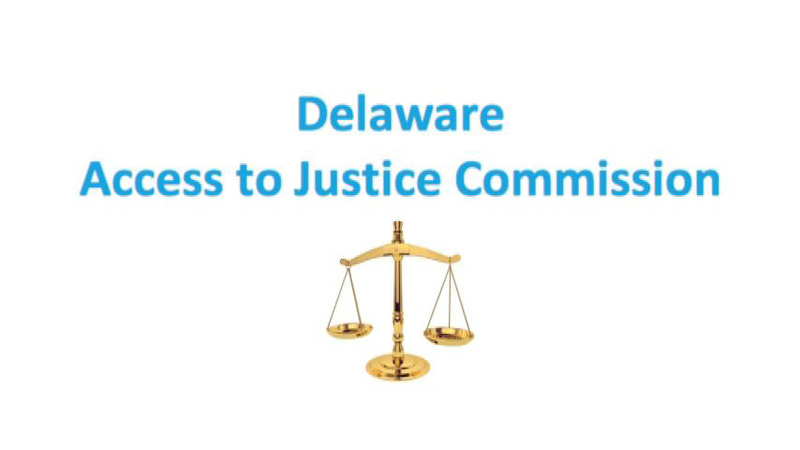 A: Through this challenge, the Delaware Access to Justice Commission is attempting to measure and increase the collective contribution of Delaware attorneys in providing pro bono legal services to poor people in Delaware. We will also be asking challenge participants to help us identify ways to make it easier to provide pro bono services. Q: How is this challenge going to work? A: You sign up for the challenge via the portal on this website. You will receive quarterly updates regarding opportunities for pro bono service that qualify for the challenge. At the end of the year, you will receive a short electronic survey to ask about your success in meeting the Pro Bono Challenge. Q: Will my name or the hours I donate be reported to anyone as participating in this challenge? A: The ATJ administrators will have your contact information and the responses to your questions, but your name will be included as a challenge participant only with your permission. The hours you donate will not be reported to anyone. The hours donated by everyone will be added together and reported only in aggregate form. In the event that the ATJ wishes to recognize any individual attorney for significant time spent in pro bono service, the ATJ will ask permission of the attorney prior to making any announcement. Q: I do not have billable hours where I work, how do I calculate 1%? A: Just use the number of hours or days that you normally work in a year, and take 1% of those. So, for example, if you work 100 days a year, 1 day would be 1%. Registration for the Pro Bono Challenge is now open! Sign up below. Count me in! I'll be participating in the ATJ Commission's Pro Bono Challenge. At the end of the year, you will receive a short electronic survey to ask about your success in meeting the 1% challenge. Good luck! If you have any questions about the ATJ Commission's Pro Bono Challenge, please contact Mary MaloneyHuss or Katherine Neikirk.